Whether we like to admit it or not, from time to time we all have the same thought about a gig – ‘why couldn’t the headliner just play an extra-long set and get rid of the support band altogether?’ I look at the line-up and consider my plan of action. Do I get to the venue in time for the doors to open? The risk there, of course, is that you suffer the ubiquitous delay in the doors opening, made all the worse by the usually cold and wet weather. Or instead, do I miss the support act/s entirely and instead go to the pub? I can’t be the only one surely? In the very beginning when I was new to gigs, I’d be at the venue a full three hours before doors, to ensure a good spot at the front. I’d never be first in the queue though as there would always be someone more keen. It didn’t matter if I was 3 hours early or 5, I was never first. Nowadays, with a full-time office job and a 2 hour trip into the centre of London, getting to the venue early is a rare luxury. And to be honest, given the calibre of some of the support acts, I’m not always particularly bothered. The choice of support act never ceases to amaze me. It’s like the organisers take a delight in choosing the most incompatible stage-mates, such as a modern shouty metalcore band supporting Lacuna Coil for example. It just didn’t work. Alternatively, there are those rarer occasions when the support act is bigger than the headliner. I mean, Nevermore supporting Children Of Bodom? 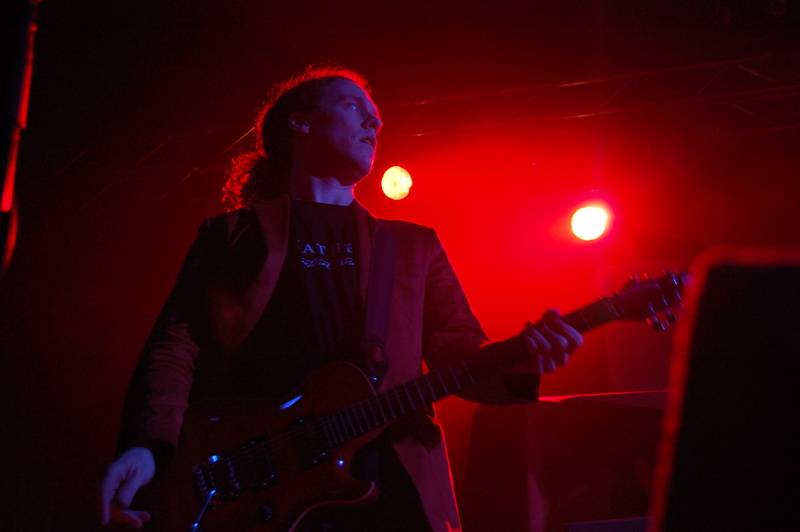 Anathema supporting Porcupine Tree? Really? Naturally, this is a more contentious avenue as it is down to each person’s subjective opinion. Plus no-one can ever please everyone all the time. And then there’s the trend that seems to be gathering pace for me of late – attending a gig primarily because of the support act. I went to see Arena recently but my Norwegian friends and I travelled to the gig because of the support act. Haken were only on stage for 29 minutes, but it was entirely worth the effort. For the record, Arena were damn fine too! This is not meant to be a boast on my part but to a greater or lesser extent, I have reached the point where I have seen the vast majority of the ‘big’ bands that I have wanted to see. Therefore I am now on the look-out for the ‘smaller’ or less well-known bands that I have yet to see who, in many ways, are more interesting to me. Dead By April – my partner and I went to London to see Lacuna Coil in 2009 and they were supported on this occasion by two bands. The spitting Cancer Bats were appalling but a young Swedish band really impressed us both. Their name was Dead By April. Normally, their brand of melodic nu-metal-tinged metalcore would have been too commercial for me but a number of factors ensured that I thought otherwise. A steely determination and genuine belief underpinned an entertaining performance that was topped off by some very immediate, hook-laden choruses and two great vocalists, one screaming and growling his lungs out, the other with an angelic clean voice seemingly at odds with his edgy, muscle-bound appearance. Their debut album was bought soon after and remains a favourite. Pain – as a fan of Hypocrisy, I was fully aware of Mr Peter Tagtgren’s talents. However, until they hit the stage ahead of Nightwish at a gig at the Brixton Academy in 2009, I had not heard any of Pain’s musical output. The up-tempo, industrial tinged material is not the most serious, but was a lot of fun, not to mention being immediately infectious. Their set had me headbanging with gusto and parting with more money in the ensuing days. Susperia – way back in 2001, I travelled with my brother and a friend to one hell of a gig. It featured an amazing trio of Dimmu Borgir, Lacuna Coil and Nevermore. The bill was rounded out by a Norwegian band called Susperia. Again, I knew very little about them, except that the drummer was once in Dimmu Borgir. I was blown away by their (at the time) unique blend of death, black and thrash metal. It was melodic, groovy and I loved it. Whilst their latter albums have not hit the same heady heights, their debut album ‘Predominance’, which I bought on the strength of this show, was fantastic. Daylight Dies – My brother and I found ourselves at the rather incongruous setting of the ‘ULU’ in the Spring of 2003. Little more than a glorified sports hall with a sprung wooden floor, the University Of London Union played host to Katatonia. I was still in the infancy of my love for the Swedes and as good as Katatonia were, I was just as impressed with the first support, Daylight Dies from the USA. Unashamedly influenced by the sounds of early Katatonia and My Dying Bride, their brand of melodic and epic doom metal was a real treat. Along with my Katatonia tour date hoodie (read more about that here), I purchased the American’s debut album, ‘No Reply’, at the merch stall and nine years later, I’m in the throes of reviewing their fourth album for Powerplay Magazine! 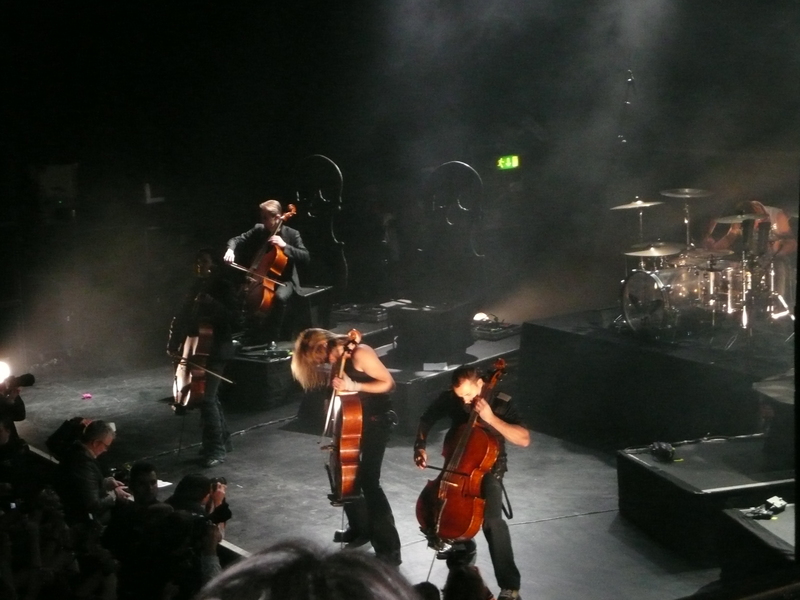 Apocalyptica – The final ‘band’ that springs to mind during the writing of this blog is Apocalyptica. This quartet are not your normal metal band; in fact, they sprang onto the scene with a debut album of Metallica covers. The big difference here though is that the quartet are all cellists. No guitars, drums, keyboards, just four cellos. I was rather dubious at first when they took to the stage supporting Rammstein in Brixton in 2005, but the sight of four long-haired Finns throwing their huge instruments around the stage with such abandon as they played the likes of ‘One’ was brilliant to watch. The intensity and belief in what they were doing too was something to behold. So much so, I went to see them play live again, this time headlining in 2008. It is always good to support artists who may be desperately trying to make their way in the music business. But, after all that, the moral of this story is: as good as a beer in a pub sounds, occasionally, a support act will sound even better. I’m really enjoying your stuff Matt, really really good and thoroughly readable. Cheers :o) For this one; ultimate mind blowing surprise of a support band comes in two parts 1) Pantera supporting Megadeth on the “Cowboys from Hell”/ “Symphony of Destruction” tour (I’d never heard of them at that point!!) 2) Annihilator “smashing it” on their “Never Neverland” tour in support of Priest’s “Painkiller” !! Ah yes, a long time ago in a galaxy far far away… !! Thank you very much for the kind comment Roland, much appreciated. Comments like this make it very easy & enjoyable to continue! Your examples though make me wish I was just a few years older – I missed some good shows! Greetings. Interesting thoughts. I met you and Kim and Lene in the queue for that Arena/Haken show and it was indeed a great evening. Kim had brought his poster and silver pen from Norway to get Haken’s signatures. I love meeting passionate music fans. Been to some great Haken ‘support’ shows – Riverside, Kings X, Big Elf, Diabolo Swing Orchestra, Freak Kitchen, Cheers.